The colourful life and times of the Birdsville policeman. Birdsville is one of the most remote police postings in Australia. It can be lonely and uneventful for weeks, then the dramas come thick and fast - from desert rescues to rising floods, venomous vipers to visiting VIPs. Throw in heat, dust and flies and it's not a job for the faint-hearted, unless you're Senior Constable Neale McShane, who has single-handedly taken care of a beat the size of Victoria for the past ten years. Recently retired from this 'hardship posting', Neale and his family thrived on the adventures and colourful times that come with the territory in the furthest corner of our country. Yarning with friend and bestselling author Evan McHugh, Neale's experiences are humorous and heartfelt. How do you feed 4000 unexpected dinner guests? Where do you find a Chinook helicopter when you need one? Who's your backup when the population explodes for the famous Birdsville Races? And what do you do when you're the person the Flying Doctor is flying out? 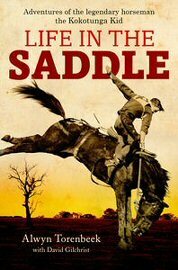 Among these inspiring tales of danger and death, dreamers and 'dumb tourists', you'll encounter a little community with a big heart that stands shoulder-to-shoulder with a larger-than-life policeman who's become part of Australia's outback legend.